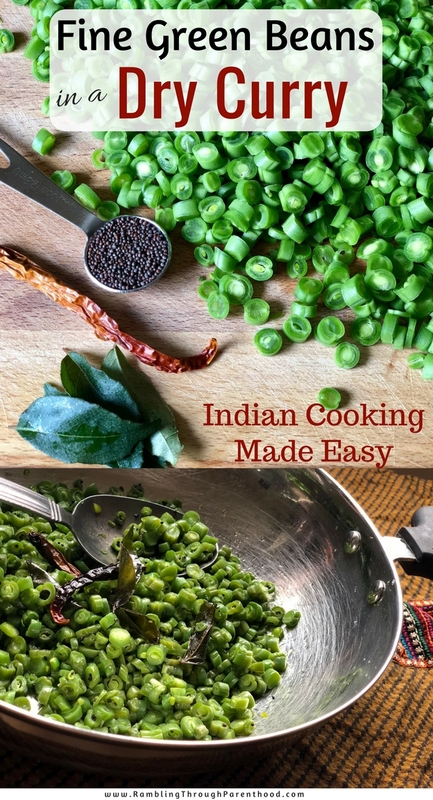 I said I would share easy and delicious Indian curry recipes, and that’s precisely what I am here to do. 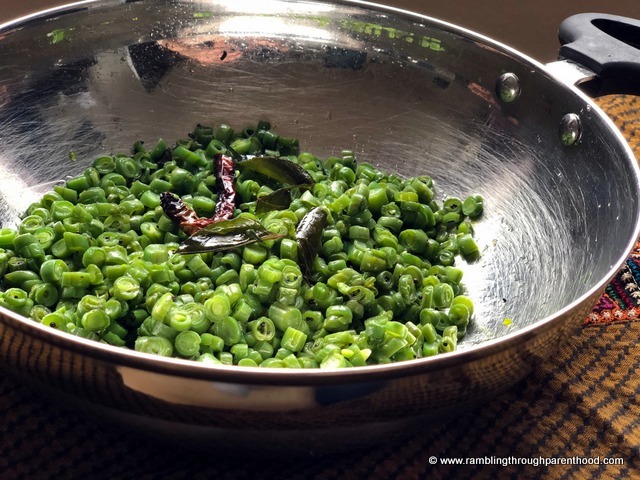 This recipe uses fine green beans and transforms them into a dry curry while still retaining their bite, crunch and flavour. Serve this as a classic curry or spice up a more traditional meat dish with these curried beans on the side. No matter what you serve these with, one thing is certain. 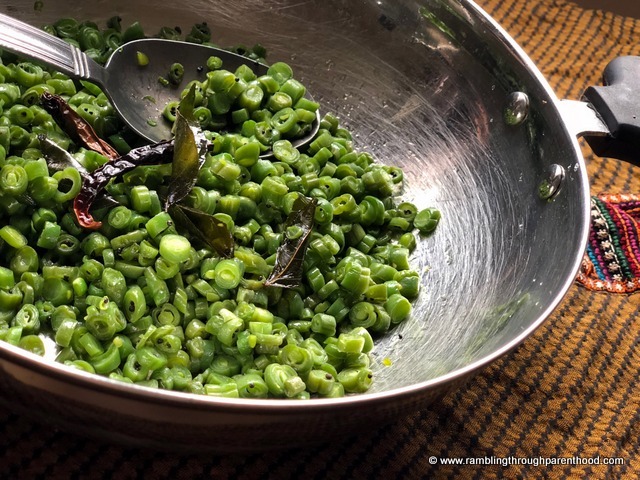 Once you have tried and tasted this beans curry, you will never want to eat green beans any other way! I first had the opportunity to eat this curry at a friend’s place and the one thing that struck me was how fine the beans were sliced. This is crucial to the success of this recipe – the beans have to be thinly sliced. The small pieces mean the beans cook quickly and the flavours permeate evenly. It also means you don’t end up with overcooked, limp beans - the small pieces can retain their crunch and still taste amazing. Heat the oil on moderate heat. Once hot, temper the oil with mustard seeds. Allow the seeds to pop, but make sure they do not burn. Tear the red chilli into two and add to the oil, followed by the curry leaves. Add a sprinkling of salt and stir the tempering to ensure a uniform spread. 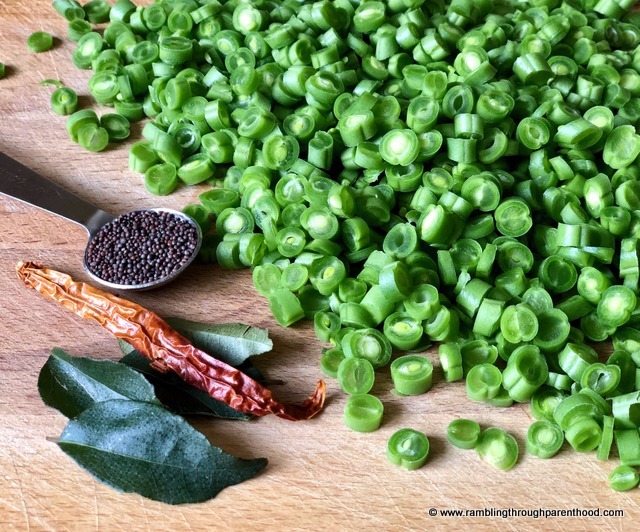 Once the red chilli has browned and the curry leaves are crispy, add the thinly sliced fine green beans. Cook on moderate heat without covering the pan and stir intermittently. Continue to cook for 11 to 12 minutes, till after the raw smell of the beans disappears but with the beans still retaining some of their crunch. 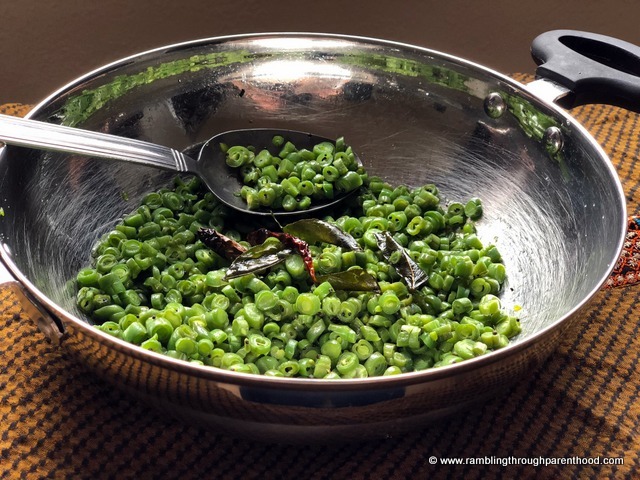 Serve hot with dal and rice or rotis. Or be adventurous and serve them as a side with your favourite meat dish. I love the sound of this, definitely something I need to try! 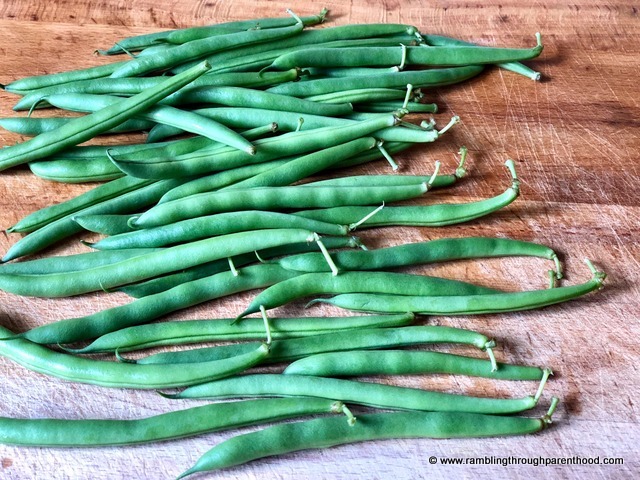 I like dry currys and this one is such a lovely colour with the green beans.